Along with working with an experienced DUI defense attorney, knowledge of your situation is an extremely important step towards combating the charges you face. Having a clear picture of your rights can also help your defense attorney find instances of constitutional rights violations and errors in law enforcement procedure. This can prove invaluable in building a strong defense and weakening the prosecution's case against you. However, for information unique to your individual situation, call (480) 413-1499 to speak with James Novak during a free consultation. What's a BAC and why is it important? What does "actual physical control of a motor vehicle" mean? Do I have to answer any questions when I'm stopped? What questions can an officer ask me when I'm stopped? What is the police officer looking for during the initial detention at the scene? What if I refused to give a blood, breath, or urine sample when I was stopped? What are FSTs and HGNs? Can I be charged with DUI if the police officer stopped me but did not give me a citation other than the DUI charges? Can I be charged with DUI even if I'm on private property? If the officer didn't read me my rights, will my case be dismissed? 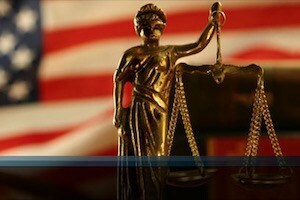 If I intend to plead guilty, will I still need an attorney? Your BAC (Blood Alcohol Content) is evidence of how impaired you were at the time you were driving (or in "actual physical control" of the vehicle). Even if your BAC is less than 0.08, you can still receive a DUI if the police officer believes you are impaired to the slightest degree. If your BAC is 0.08-0.14 within two hours of driving, you will be charged with a DUI. If your BAC is greater than 0.15 within two hours of driving, you will probably be charged with extreme DUI which, if you are convicted, results in more severe penalties. If your BAC is 0.20 or higher, you will probably be charged with super-extreme DUI and you will face even harsher penalties. Our experienced DUI Defense Attorneys in Mesa will help confirm whether the BAC equipment used was properly calibrated and whether the officer giving the BAC test was adequately trained. All of these factors have an impact on the outcome of your case. The State can charge you with DUI if you are sitting in the driver's seat and the car is running, whether or not it is moving. If you are able to reach the steering wheel and control the pedals, you will probably be charged with "actual physical control." Whether you were in actual physical control is a question of fact best answered by an Attorney. Many DUI arrests occur at night and on week-ends. Below is a list of driving observations the police use to indicate that the person is driving while intoxicated. You are not required to answer any questions. You always have the option to request the advice of a DUI Attorney and remain silent; but if you have already answered any questions, your answers can be used by the prosecution, as well as by your DUI lawyer in Arizona. The current status of your driver's license. Are you are ill or hurt or have you have taken any medication within the last 24 hours? When and where you last ate? How much sleep you have had? How long you were driving before being stopped"
Where you were coming from and going to? What and how much you have had to drink? Your estimate of your ability to drive. If you refused, you may be subject to additional penalties from the Department of Motor Vehicles. You should consult an Attorney to assist you in addressing and minimizing these additional consequences. Your DUI lawyer may engage an expert to review any information you have given to make a determination as to your actual blood alcohol content at the time you were operating the motor vehicle, which can result in a strong defense for your case. FSTs are Field Sobriety Tests. They include various coordination tests (standing on one foot and balancing, reciting the alphabet, walking and turning in a straight line). Horizontal Gaze Nystagmus (HGN) is a test requiring you to follow an object with your eyes from side to side without turning your head. Yes. Usually a DUI arrest arises out of a traffic violation (speeding, running a stop sign, illegal turns, or even a broken taillight), but officers can stop vehicles for other reasons. The Courts do require, however, that the officer have a "particular suspicion" that you were engaged in criminal activity. The police cannot stop you based on a hunch. Yes, you can be charged with DUI whether you are on the highway, on a street, or on private property. All that is required is that you be in actual physical control of a motor vehicle while impaired. Even if the officer fails to read you your Miranda rights, the case will not be automatically dismissed. An attorney may be able, however, to suppress any statements you made following your arrest. An experienced Arizona DUI defense attorney may be able to help minimize your legal consequences, even if you decide to enter a guilty plea.